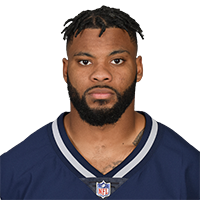 Published: Oct. 1, 2017 at 02:53 p.m.
New England Patriots defensive end Trey Flowers cause a fumble on Carolina Panthers running back Jonathan Stewart and Patriots linebacker Elandon Roberts recovers. Published: Dec. 24, 2016 at 01:45 p.m.
New England Patriots cornerback Malcolm Butler recovers New York Jets running back Khiry Robinson fumble. Jets quarterback Bryce Petty was injured during the play.